Dark chocolate Illanka molded ganache, and milk chocolate Bahibé yuzu ganache. 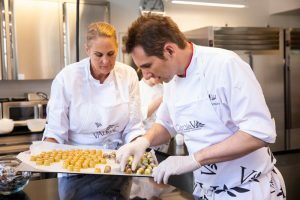 Exploring the infinite possibilities of molding and decorating chocolate bonbons was the leitmotiv of one of the interesting masterclasses that Nicolas Botomisy, L’École Valrhona Pastry Chef East Coast, has given this 2018 at the Valrhona school in Brooklyn. 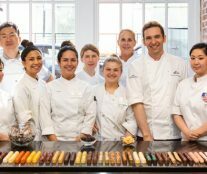 From the creation of balanced ganaches and fillings with fresh ingredients, individual molded confections, and chocolate bars, and using decoration techniques such as airbrushing or etching, Botomisy has taught master techniques behind creating unique and creative molded chocolate confections. 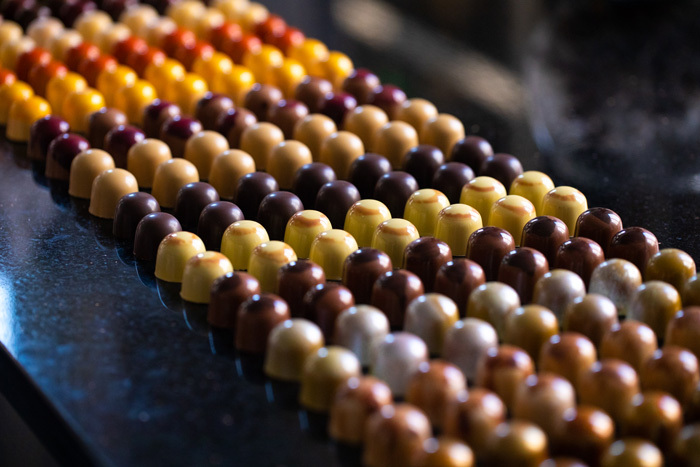 Among the many pieces developed during the course, we have this molded bonbon with passion fruit on top, yuzu ganache interior, and a union of different grand cru chocolates from the Valrhona firm. Bring the cream to a boil with the sugar. Slowly pour the boiling mixture onto the melted Illanka 63% couverture. Mix using circular movements with a rubber spatula to create a glossy and elastic texture. Take care to preserve this texture throughout. 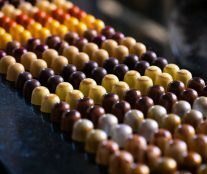 As soon as the ganache reaches 35-40°C (95-104°F), add the diced butter and blend, taking care not to incorporate any air. Bring the cream to a boil with the sugar. Slowly pour the boiling mixture onto the melted Bahibé 46% couverture. 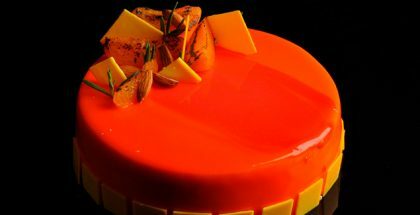 Mix using circular movements with a rubber spatula to create a glossy and elastic texture. Take care to preserve this texture throughout. 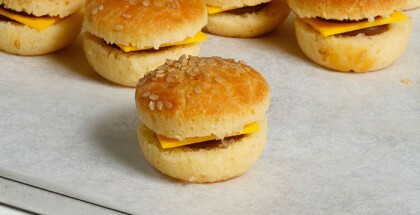 As soon as the ganache reaches 35-40°C (95-104°F), add the diced butter and blend, taking care not to incorporate any air. 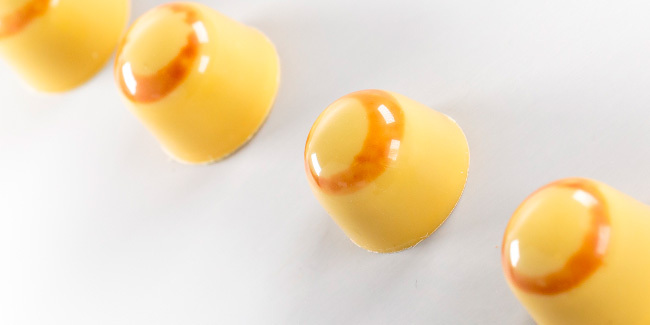 Mold chocolate shells using tempered Passion Fruit Inspiration. 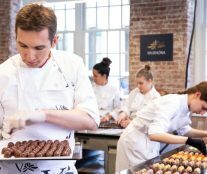 Flip the mold in order to have the chocolate running out from the mold, edge lip and leave to set. 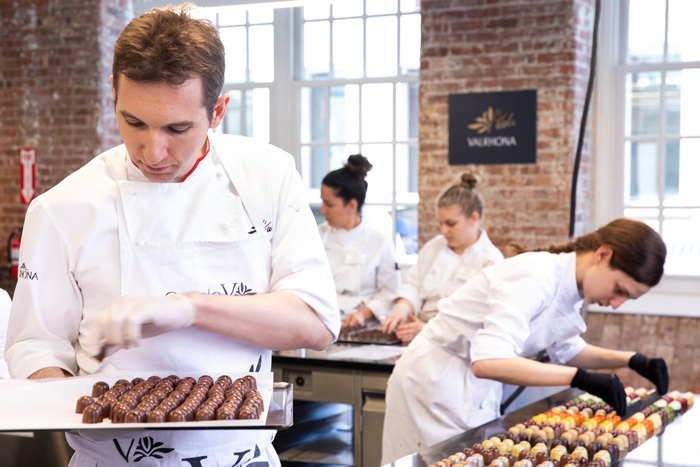 Fill the chocolate shell with the two ganaches piping first the one which sets quicker. Once set, pipe the second one. 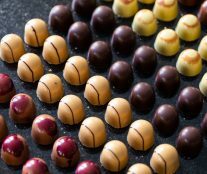 Pay attention to fill the half sphere with ganache at a temperature below the melting point of the Passion Fruit Inspiration. Leave to set for 24 hours at 17°C (63°F) and 60% of hygrometry. 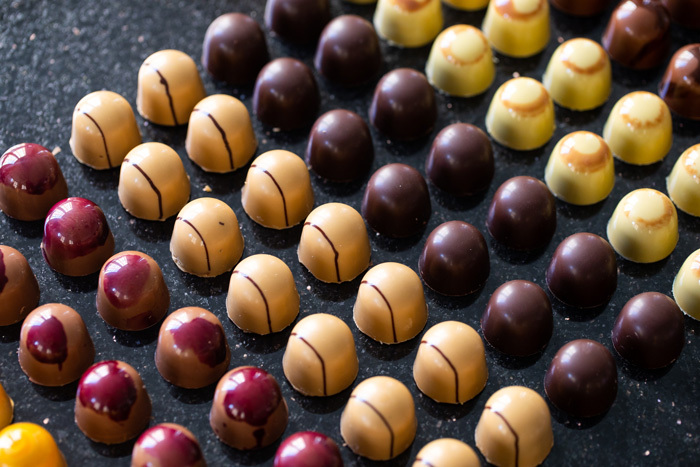 Using tempered Passion Fruit Inspiration, seal the chocolate shells. Melt the side of the shell using a thermal heat gun in order to ensure a perfect junction. Leave to set at 17°C (63°F), then unmold.